Love the whimsy of her art!! Mind Escape draws heavily on Chandra’s love of the outdoors, featuring intricately drawn, otherworldly pictures of flora and fauna. 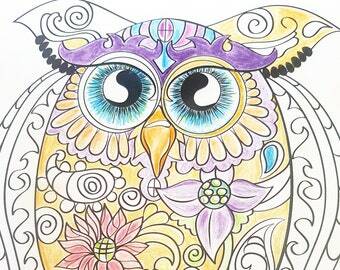 She colors at home with her son and this inspired her to create a colouring book that people of all ages would enjoy.